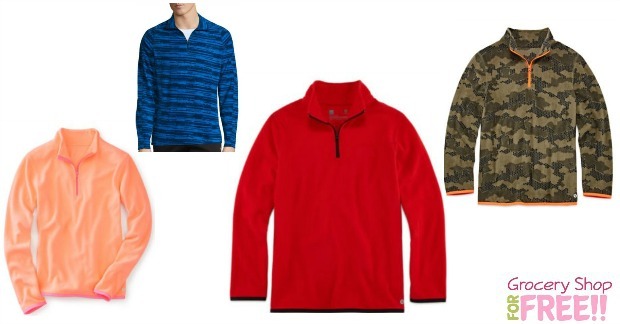 Fleece Jackets Just $5.67 At JCPenney! You are here: Home / Great Deals / Fleece Jackets Just $5.67 At JCPenney! I told you yesterday about the great sale going on at JCPenney and how you can get Puffer Jackets for just $15, and here’s another great deal you can do! You can get Fleece Jackets for just $5.67! Have them shipped toy our local store for FREE, too! They are on for $9 each, just use code: HURRY39 at checkout to get $10 off $25. If you buy 3 and use the code, you’ll pay $5.67 for each one! What a deal!